RV Detailing: Is Your Camping Trailer Ready For the Summer?. It may seem like winter isn’t done yet, but summer is right around the corner and that means that camping season is about to start. You might already be planning your weekends away—if not, you’ll probably start planning them soon. Of course, you’ll need to get your RV (or your camping trailer) cleaned, before it’s ready to go on your family vacations. Since spring also happens to be a busy time for most people, you might be wondering how you’re ever going to find time to get your RV detailing. That’s where Wash Me Now comes in. We noticed how busy your lives are and how difficult it can be to schedule time for regular car cleaning and maintenance. It can be very difficult to schedule a separate appointment for your RV detailing. We also know how much of a difference a clean camping trailer makes when it comes to the quality of your time spent on vacation. Each and every one of our trucks comes equipped with a mobile car wash unit and even its own electricity and water. It’s also why we’re available seven days a week, starting at seven AM each morning. And don’t worry, we clean every vehicle, from two door cars to full length buses. We believe everybody in the GTA should have access to mobile car detailing, not just people who drive small cars. As long as you’re in the GTA, we’ll come clean your RV, both the interior and the exterior. And if you have any doubts about our mobile car wash units, take a look at our photo gallery to see how just how clean Wash Me Now will make your vehicle. If you worry about spending an arm and a leg on your RV detailing, you’ve found yet another reason to call Wash Me Now. We offer a variety of affordable packages so you can find something that suits your needs. 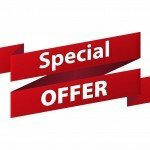 You can even find special offers on our website which will help you save more money. You won’t find a more convenient and cost effective way to get your RV’s interior and exterior professionally detailed in the GTA. Oh, and by the way, we’re also happy to detail the car you drive every day while we’re there—after all, it’s not just your RV that needs to be clean before summer comes. There’s a good chance you’ll spend a lot of time in your car this summer. You’ll enjoy it a lot more if your car is clean, so give us a call today at (647) 607-5199. Don’t wait until summer has already started. You don’t want to go to your camping spot with a dirty RV—and you definitely don’t want to delay your first camping trip because of cleaning. Call Wash Me Now today at (647) 607-5199 and tell us when and where we should meet you. We’ll take it from there and make sure your RV or trailer is in perfect condition when it finally gets on the road this summer. 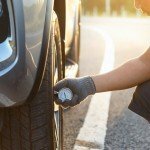 Before hitting the road, always make sure that the tires are good. This applies not only to your RV, but any other vehicle you own. Make sure you inspect the tires for cracks and replace them in case you notice any kind of damage. In addition, don’t forget to check the pressure. You can always refer to your manufacturer’s manual if you’re unsure about appropriate pressure levels. First and foremost, clean any residue from all appliances. Everything should be ready and clean for when you hit the road. After you’re done with all the cleaning, make sure you test the appliances as well. They all need to be in working order so you can enjoy a great summer once again. As part of your inspection, make sure you check the water lines and pipes. Check for any leaks in faucets and pipes. You should inspect the pressure safety valve on your water heater and the drain plug. In general, there should be no cracks anywhere on your RV’s exterior. Since we don’t use the RV during the winter that much, small holes and cracks can happen without you even noticing. This causes water leaks which can become a huge problem. Make sure you check the caulking around vents, air conditioners, vents, windows and doors.